We recently had some good friends over for brunch. In addition to some new things, we made some old standby recipes (Monkey Bread and Quiche), and thought now was the perfect time to update the pictures/recipes for each of these on the blog. 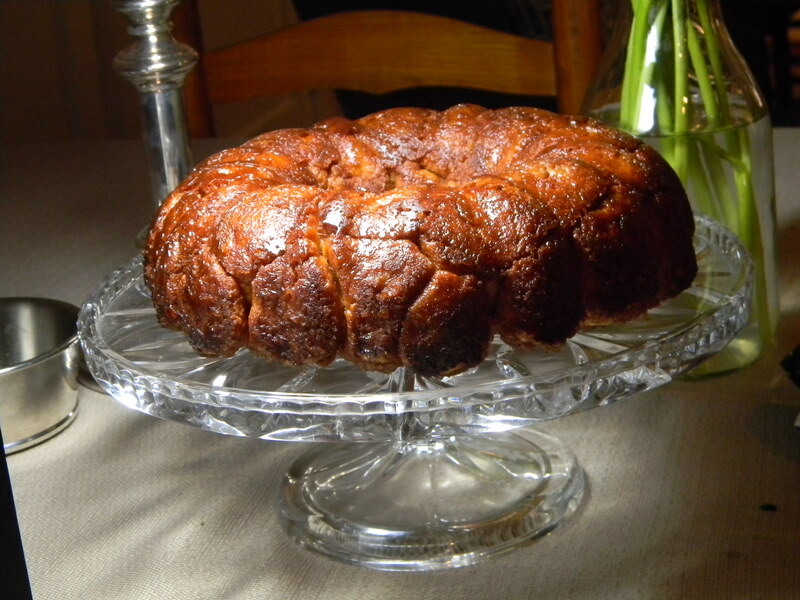 Our Cinnamon Dough Bites page didn’t give many details on the cooking process, so I’ve made a separate Monkey Bread page….because sometimes you feel like bites, and sometimes you feel like pull-apart bread. 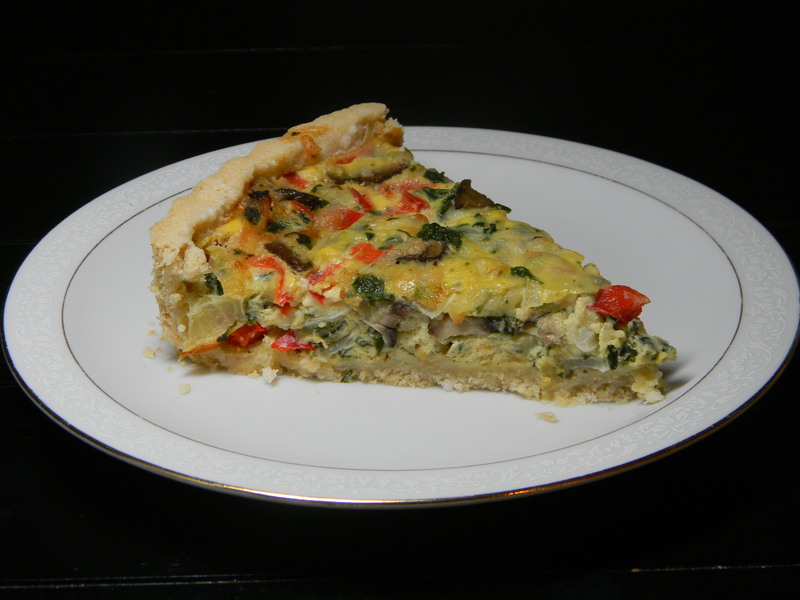 For the quiche, we relied on the same tried-and-true crust recipe, but used all veggies instead of meat: red peppers, spinach, emmentaler cheese, mushrooms and onions. It was an awesome combination. I didn’t make an updated page, but you can visit our other quiche pages for the basic recipe, then substitute whatever veggies you have on hand. There’s the Cheddar, Bacon, Onion Quiche and the Sausage, Spinach, Onion Quiche. In addition to these old favorites, we had some simple fruit salad: canteloupe and blueberries tossed with fresh mint, AND a new invention of Gardner’s that we’d put in the category of brunch appetizers (for the people who can’t bypass breakfast altogether…like Gardner). 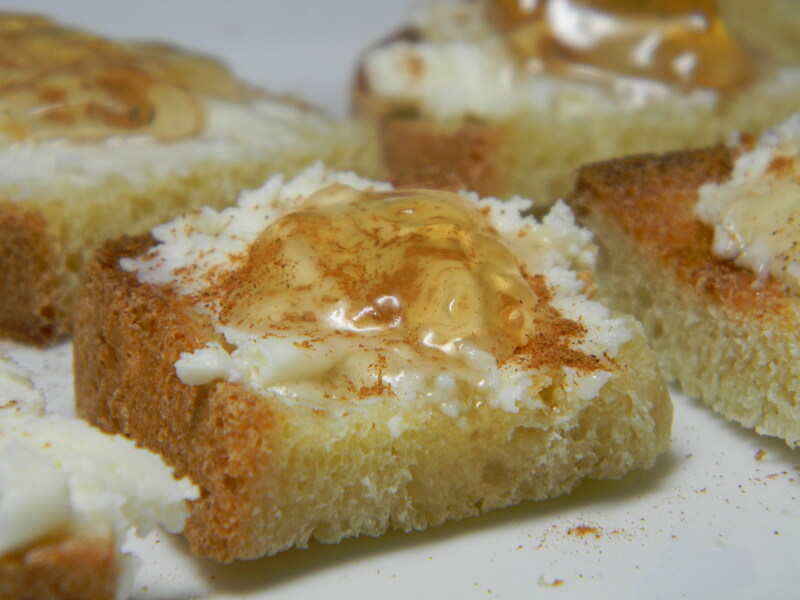 We now call these Mascarpone Pear Toasts, and here is the recipe link: Mascarpone Pear Toasts. We made the Monkey Bread and the quiche crust on the afternoon before our brunch. So, all we had to do on brunch day was combine the quiche ingredients, pour into the crust, and put it in the oven. Then combine the fruit salad (took 30 seconds) and make the little Mascarpone Pear Toasts. Easy and stress free – which is the only way I’d do brunch for guests. Needless to say, we had a great time. I only wish we’d finished our chair project before then so our 4 guests didn’t have to sit in ugly, uncomfortable chairs (some of them were folding chairs!). Oh well, next time! As one of the blessed friends who got to dine at this brunch, it was all excellent but the marscapone pear toast — I am still dreaming about them. They are delicious. These two are amazing young talents in the food arena.